The development have been a little slow this last month because I'm needed elsewhere at my job, but the development will shortly speed up again as things calms down In the meanwhile the graphic artists at Divine Robot has been doing some modelling on a new human soldier and the surface castle. 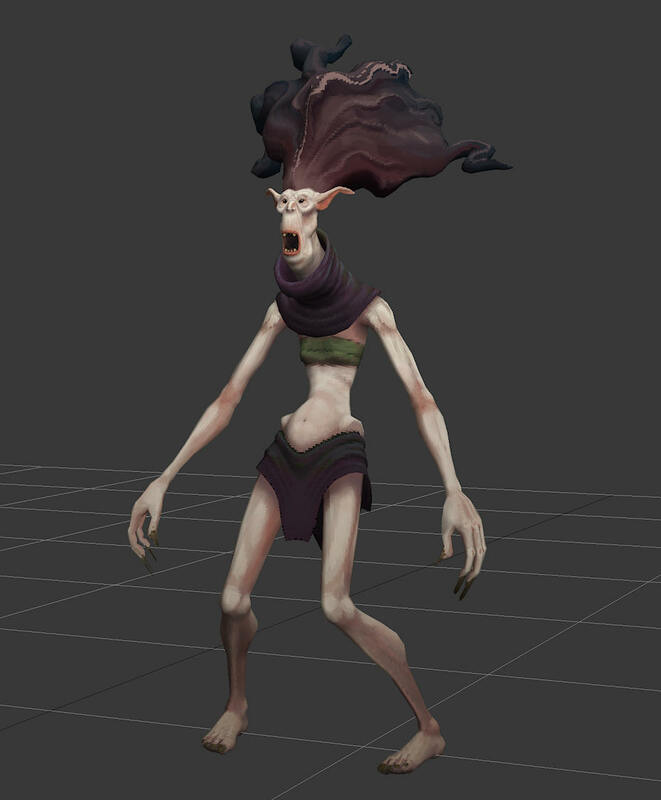 I've also gotten a wraith creature from Erin that will be a player creature that controls ghosts. I got this creature from Erin a while ago, and now the time is closing in to put it in the game. This Wraith will be attracted after the catacombs have been built. It will not be a strong creature, but under the right circumstances it can be very dangerous. The idea is that she will be able to kill and raise unconscious enemies as ghosts on the battlefield, and she will also be able to attract player-owned ghosts to fight for her when she encounters enemies. So in battle and without any backup she will die pretty easily, but with backup she can work behind the scenes and improve the players odds of winning a lot. So here we see a example of how the castle will look like, it hasn't been textured yet, or put in the game. But the models are there and will be implemented shortly. The idea is that the harder campaign missions will contain castles on the surface world packed with soldiers that needs to be defeated to complete the missions. And after the release we will of course keep releasing updates such as more game content and more campaigns. (15-04-2018, 09:09 PM)Rasmus Wrote: The idea is that she will be able to kill and raise unconscious enemies as ghosts on the battlefield, and she will also be able to attract player-owned ghosts to fight for her when she encounters enemies. So in battle and without any backup she will die pretty easily, but with backup she can work behind the scenes and improve the players odds of winning a lot. You mean raise ghost from killed (so she will be able to kill and raise killed enemies as ghosts) or unconscious/knocked out creatures? Also will she be able to raise ghost from fallen enemies only or from player-controlled fallen creatures too? 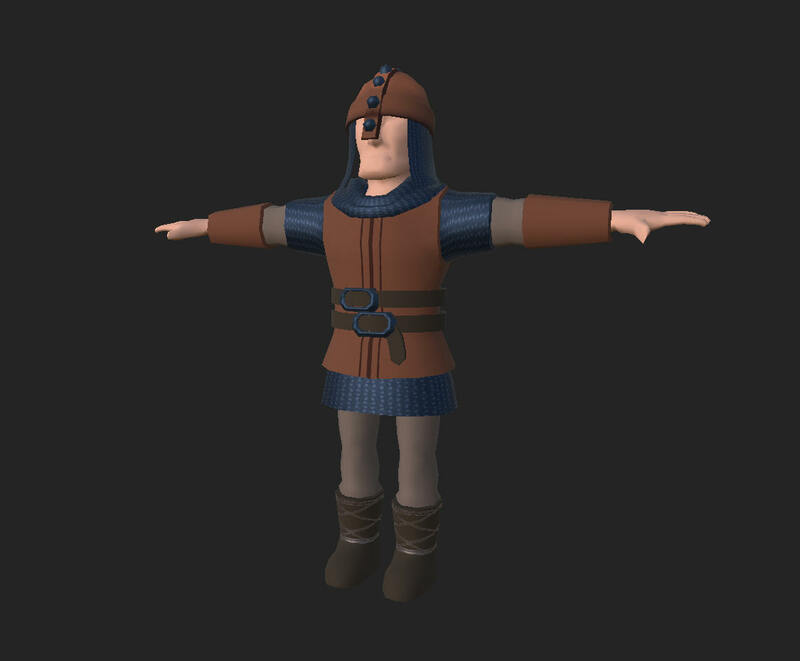 (15-04-2018, 09:09 PM)Rasmus Wrote: It is currently in progress of being textured, but the main idea is that helmets and armours etc will be replaceable to create more visual variations among the soldiers. Is that mean that Knights and the rest humans would have their own wearable armours too? Will I be able to put golden Knight's armour my Impanzee for example and so I could leave out a Knight only in pants and socks? BTW: Have you maybe thought about fixing workers tasks prioritization, like I proposed here, so this way I wouldn't need for all previous task to be done and the new one I want would only than be done after that? For now it seems throwing prisoners have that option to be highest priority, but it would be really needed to have the same option for making new room building or constructions as first to be made before digging tiles for example and collecting resources. (15-04-2018, 10:31 PM)Sebt Wrote: You mean raise ghost from killed (so she will be able to kill and raise killed enemies as ghosts) or unconscious/knocked out creatures? Yeah exactly. If a enemy gets unconscious she will be able to raise them as a ghost that fights for you. (15-04-2018, 10:31 PM)Sebt Wrote: Also will she be able to raise ghost from fallen enemies only or from player-controlled fallen creatures too? Only if the player creature is really dead. (15-04-2018, 10:31 PM)Sebt Wrote: Is that mean that Knights and the rest humans would have their own wearable armours too? Will I be able to put golden Knight's armor my Impanzee for example and so I could leave out a Knight only in pants and socks? The human creatures will only have visual variations in armor etc. so that they don't all look the same. So no equiping. (15-04-2018, 10:31 PM)Sebt Wrote: BTW: Have you maybe thought about fixing workers tasks prioritization, like I proposed here, so this way I wouldn't need for all previous task to be done and the new one I want would only than be done after that? For now it seems throwing prisoners have that option to be highest priority, but it would be really needed to have the same option for making new room building or constructions as first to be made before digging tiles for example and collecting resources. (17-04-2018, 10:31 AM)Rasmus Wrote: If a enemy gets unconscious she will be able to raise them as a ghost that fights for you. So that means, that knocked out enemy creatures and dead ally creatures can be transformed into ghosts. Hmm, that leaves no chance for enemy to rescue their knocked out warriors in battle, as well as if enemy have Wraiths they can turn every our just knocked out in battle creature into the ghost fighting against us and so we can't possibly took our unconscious creatures into their beds. Was it supposed to work like that intentionally? BTW: Have you got any luck with finding what causes game launcher to behave "weird" for it seems Windows 7 users (source)?